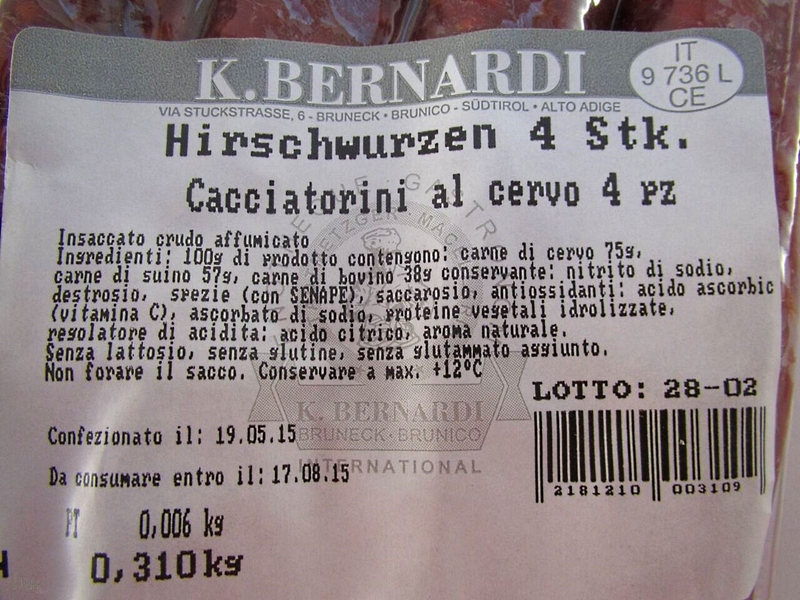 We offer you here a packet "Hirschwurzen" (smoked sausages of deer and pork meat) (4 pieces) approx. 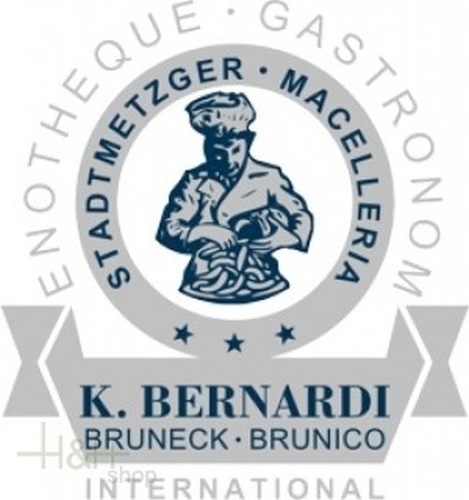 290 gr., made the town butcher's shop Bernardi Karl in craft way after traditional recipe. "We give to the nature the time which requires to the tyre!" 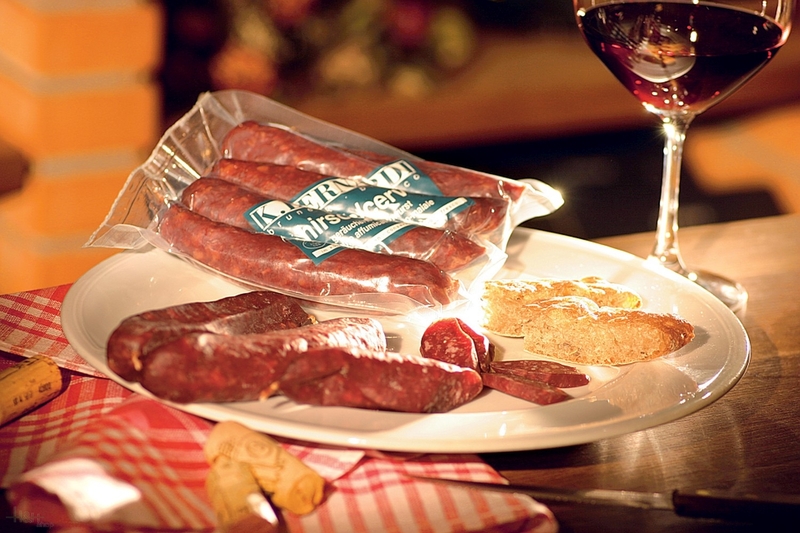 "Hirschwurzen" are one of the most typical raw sausage specialities of South Tirol. As usual if we think highly of a good end product, we also require here high-class raw materials. The right coordination between the thin shares and fat shares of the meat, as well as the tender and aroma spicy nevertheless combined with a light cold smoke mark, give to our product an unmistakeable character. Ingredients: 52% of deer meat, pork, beef, garlic, salt, pepper, special mixed herbs. Taste: the taste spicy with wild mark, made after traditional prescription. Würstel Merano Steiner 2 pezzi - approx. 220 gr. 4,15 EUR / 1,89 €/100 gr. Roe Deer salami air-dried appr. 250 gr. - Kofler Speck 7,55 EUR / 3,02 €/100 gr.